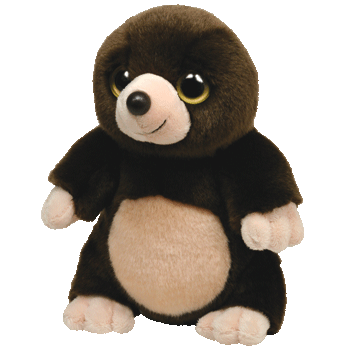 Digby is made from a furry, dark brown material with a peach coloured belly and peach hands, feet and nose. He has large gold and black button eyes and a black button nose with black stitching for his mouth. Digby was introduced on 1st January 2011. He is one of the original 14 animals in the Wild Wild Best collection.